It was the end of the summer. This was supposed to be her fresh start. It was her last year of college and then off to medical school and her lifelong ambition to be a doctor. Her best friend Liz had even arranged for Jess to live with her and their friends in a historic home located behind the stone walls of an old Army fort. Jess would have the entire top floor to herself. She could maintain her privacy and have plenty of space and solitude to study. Afterward, she could walk less than a hundred yards away to a gorgeous beach. It should have been the ideal situation. So why was she feeling such despair? 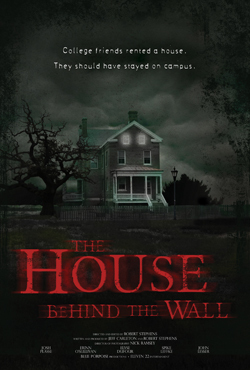 Jess eventually seeks out the former tenant of the home and learns the fort and the house have a dark history. Soon, Jess and her friends will wish they’d stayed on campus.